Value. It’s the watchword of healthcare in the 21st century. Demonstrating it is the path to success for every segment of the industry. As healthcare providers grapple with this concept via a fundamental shift from fee-for-service to pay-for-performance, the medtech industry faces a similar shift in focus. No longer is it enough simply to manufacture a product. Creating demonstrable value is about producing the right product at the right time to support the right outcome. What does this mean for medtech companies? It means that more than ever before, they must be in tune with and responsive to the end users of their products, from the clinicians to the patients themselves. Companies must be innovative, flexible and agile in unprecedented ways. And, to achieve all of this, companies must recruit and retain the right workforce equipped to address these shifts head-on. 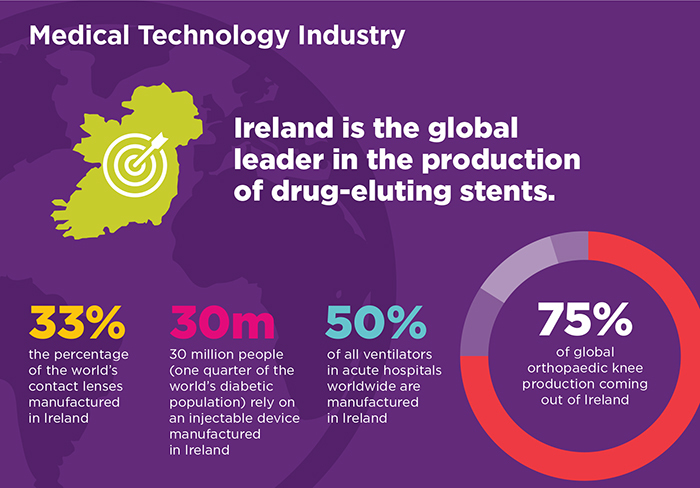 Ireland’s medtech industry is well positioned to meet these challenges and continue thriving. Its foundation is solid: In October the IMF forecasted that Ireland would be the fastest-growing advanced economy in the world in 2015 and 2016. The medtech industry is a significant contributor, with €12.6 billion in exports from 250 companies, including 13 of the top 15 global medtech companies. The following are insights and observations on the ways that Ireland supports the industry and cultivates a fertile ground for success. To stay abreast of an industry in flux, medtech companies need a workforce capable of fresh thinking and continual adaptation. Ireland has enjoyed a head start in this area, with a significant population of young people—the youngest in Europe. However, drawing from a dynamic, young talent pool is only one factor in the equation; a solid foundation in STEM is critical. From the ground up, Ireland has prioritized STEM at every level of development, starting at the high school and collegiate levels. This vital educational pipeline then flows into a robust, STEM-focused research system that works with and is designed to support industry. The Irish government recently reinforced the importance of this system with an unprecedented €8.2 billion investment specifically to benefit research in science, technology and innovation. To enhance these homegrown resources, it also has been critical to foster a competitive environment for skilled foreign workers and companies. 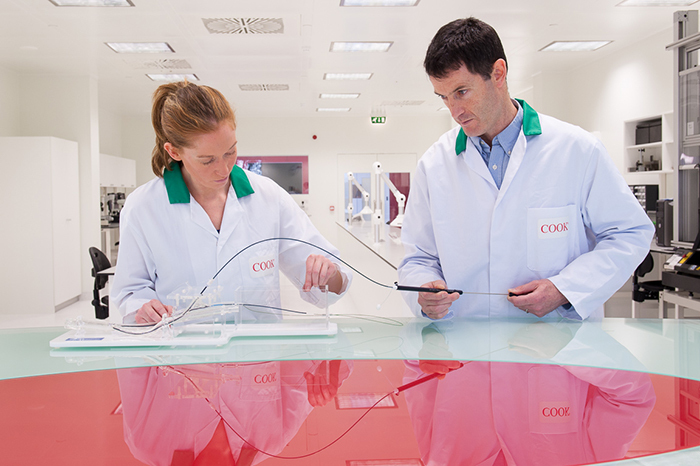 Offering advantages such as a 12.5% tax on corporate trading activities has helped Ireland attract medtech companies in traditional as well as new and emerging areas. As these companies have embedded and grown, they’ve created a symbiotic relationship with indigenous companies, learning and feeding off of each other. The resulting medtech ecosystem is self-sustaining, focused on innovation and driven to pursue continual improvement in terms of value creation. This ecosystem plays a key role in Ireland’s successful recruitment of talent at home and abroad. Wherever you can build a cluster of cutting-edge companies driving innovation, you can shine a beacon for talent. And, while the infusion of foreign talent into Ireland can be attributed in part to some innate factors, such as being the only English-speaking country in the Euro zone, there are other areas of appeal. Demonstrating access is vital. Ireland has leveraged its position as a dual-gateway into multiple markets. It serves as a geographic and commercial gateway to Europe, and the medtech industry offers significant expertise in EU approval processes. The gateway also extends to the west, however, with a strong track record of FDA approvals in the United States. This flexibility appeals to individuals and companies alike, on both sides of the pond. Together, these elements have stimulated the young, adaptive, globally minded workforce in Ireland. They fuel the fire of advancement, much of which is focused on research and development. Ireland encourages and promotes this in the medtech industry, and 60% of companies are engaged in R&D activity. This environment is ripe to develop and enhance the type of workers and thinkers needed for success in a value-driven world. For example, the traditional engineer still has a role to play. But now, the industry needs the “engineer-plus” who demonstrates a hybrid of talents. The engineer-plus understands the dynamics of data delivery, analysis and interpretation—all in the context of the product, how clinicians and patients interact with it and the outcomes it delivers. This is where technical knowledge meets an understanding of how real people use technology in the real world. This is the foundation of success for the medtech industry in Ireland: Attracting and raising up a new breed of workers and companies that don’t just manufacture products—they manufacture, study, enhance, adapt and improve products on a continuous basis to achieve better results. "Tax Effect Not Minimal and is Responsible for 18,500 Job Losses"
The medical device tax has a "profound negative effect" on the nation's jobs and innovation, AdvaMed President and CEO Stephen Ubl and Medical Imaging & Technology Alliance Executive Director Gail Rodriguez explain in an editorial. 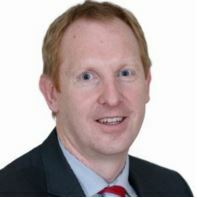 Michael Lohan is global head of medical technologies for IDA Ireland. He joined IDA Ireland in 2003 and has held management positions within the organization including strategic property, corporate planning and operations. Prior to IDA Ireland, Lohen joined Nortel’s European operations team, in Galway, Ireland, and held the position of manager for New Business Solutions focused on M&A and global supply chain design. Lohan’s experience includes a management role with IEC electronics’ European operations. He is an engineering graduate and holds an MSc in technology management from the National University of Ireland Galway. An interesting and refreshing article about med-tech in Ireland. Having worked in Ireland in high-tech during the 1975-1984 period before I emigrated to Canada, it is fantastic to read how Ireland and the IDA has embraced the life sciences industry. Good for you. You deserve all the success this brings. I am a co-founder of Annidis Corporation in Ottawa ( http://www.annidis.com ). We have developed new technology for the early detection of blinding eye diseases. Occasionally I wonder if I should have stayed in Ireland and became a part of your great success story!!! Thank you for the positive comments. The pro business enviornment in Ireland is supported and evolving due to a shared vision and delivery by all stakeholders. It’s never late to capitalise on the many benefits that Ireland offers including the skills and the vast array of research capability. Link below details Ireland’s research centre which I hope you find interesting and with potential for future collaboration. Wishing you a Happy St Patrick’s day.